If you live on the edge long enough, you're bound to fall off, and that's exactly what happened to the Long Beach State men's basketball team. 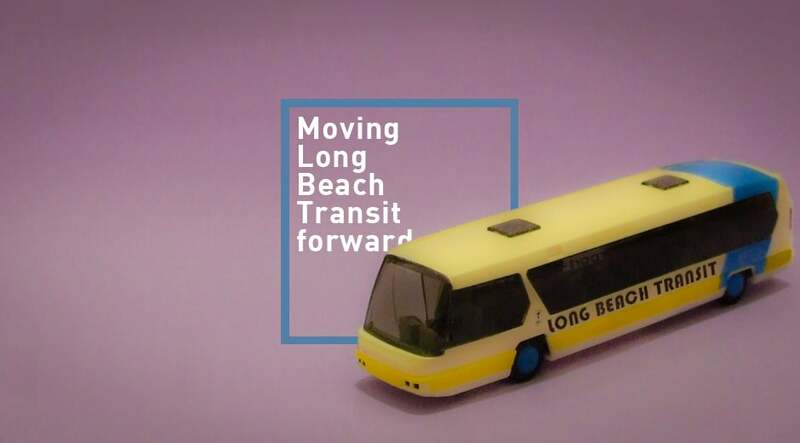 In a bold set of appointments to the Long Beach Transit (LBT) Board of Directors, Mayor Robert Garcia brought forth four strong, progressive women to serve on the board, each with their own form of radical thinking that is precisely what the LBT Board needs: April Economides, Sumire “Sumi” Gant, Nancy Pfeffer, and Mary Zendejas. Garcia has three more appointments he can make for the Board. The quad, female-led punch hits LBT in the core areas it fails to live up to its full potential in: bicycle accessibility, grants/fundraising, planning/infrastructure, and disability accessibility—which are precisely these four women’s strengths as well as how they will contribute toward expanding transit use and power. Not to mention that these are ideals that Garcia has long exuded these new urbanist ideals. As Garcia notes, this isn’t to necessarily say that LBT doesn’t cater to these things at all or is a transit authority which lacks; quite the contrary given LBT is accessible (as it was the first transit authority to have their entire bus fleet 100% wheelchair accessible), easy-to-use, and dependable. But public transit authorities are altering the way they cater to constituents—particularly SoCal transit systems, which need to look beyond buses in order to keep urbanism alive and well. When I had asked Garcia during #CityLab2014 (an online forum where mayors from round the world took to Facebook to directly answer questions) how he had planned on getting people away from car dependency, he intriguingly responded with altering the role of LBT. “People moving” is the key concept here—and for LBT, it needs to move beyond the bus and look toward becoming more integrated with infrastructure that pertains to its offerings. For example, the aforementioned fact that its entire fleet is wheelchair accessible is both commendable and admirable; however, if the streets do not adhere to ADA guidelines, making it dangerous or impossible for someone to access the buses, such a benefit loses its power. There’s a reason five wheelchair-bound Long Beach residents are suing the City (and it isn’t to gain money). This is where Zendejas, former Ms. Wheelchair California, comes in: as the Director and Founder of the DisABLED Professionals Association as well as the current chair of the Citizens Advisory Commission on Disabled (a position she will unfortunately abdicate in light of her board position), Zendejas gets the disabled side of disability-friendly design and infrastructure. This isn’t to mention her role as Director of Community Relations for Accessible Connections Exchange. Then we can move onto bicycles. With a so-called bike-friendly city that still lacks safe connections to the north, a city-wide bike share program (*crickets* Bike Nation, y’there? *crickets*), and safe transitions to our larger biking infrastructure projects (gotta love crossing Alamitos at 3rd), LBT can step in to engage itself on a much larger scale beyond the four-wheeled bus. Enter April Economides, one of the city’s most adamant bicycling advocates and a Long Beach native, has long lived car-free (with her daughter for the dissenters who claim it is just simply impossible to live with a family without a car) in six cities, including Long Beach. And why do they walk, bike, and bus? Because they “live a multi-modal lifestyle mostly for environmental reasons, but also because it’s a very happy way to live.” In other words, she understands that moving in different ways creates a more well-rounded sense of being. Pair all this with Gant, the former transportation planner for the City of Long Beach and the woman who single-handedly scored millions of dollars in grants because she had the foresight to see the importance of biking and pedestrian infrastructure, and Pfeffer, the public policy guru and City Fabrick board member, and, well… You have a powerhouse of a board that moves beyond the constrictions previously in place. One but has to look at the enthusiasm alone of these four women. Très cool, indeed. Good move, Mr. Mayor.